Home Statements STATEMENT: No to a Second Extension of Martial Law/Proclamation 216! We are Mindanawons who are deeply troubled by the decision of President Rodrigo Duterte to seek for a second extension of Martial Law and the suspension of the privilege of the writ of habeas corpus in Mindanao, which was first declared through Proclamation 216 s. 2017. We are unconvinced of the need to continue Martial Law beyond December 31, 2017. Rule of law demands that we satisfy the Constitutional provision that Martial Law can only be declared when there is actual rebellion or invasion. Military reports, the pronouncements of national leaders, and the letter of Pres. Duterte to Congress cited what could be described as unfinished business and potential threats. But they did not factually point to any actual rebellion or invasion in Mindanao. We find it disquieting that the President consistently defers to the military on the matter of Martial Law. While the security sector should provide information that can help government in making vital decisions, the ultimate decision-making should rest with civilian authority. Despite many reforms in the security sector, there are hawkish elements and agenda that need to be reined in. The democratic mandate given to this administration by the results of the 2016 elections is also an expectation that civilian rule be upheld by those we voted into office. We are confident that even without Martial Law, government has sufficient will, capacity and support to continue to address the problems of Mindanao. Although facing many challenges, most of the local governments in Mindanao have not been incapacitated and are functional. Governance challenges are best resolved through civilian, rather than military and adventurist, means. This is not the first time that the words “rebellion” and “terrorist” were used in describing the country’s circumstances to rationalize drastic and heavy-handed changes. Marcos’s Proclamation 1081, which mentioned Mindanao at least 13 times, also used those as justifications. Proclamation 1081 cited Mindanao in association with the terms “lawlessness,” “fear and panic,” “chaos and disorder,” “armed clashes, killings, massacres, arsons, rapes, pillages, destruction of whole villages and towns and the inevitable cessation of agricultural and industrial operations, and “state of actual war.” Rather than prevent the escalation of those troubles, Proclamation 1081’s arguments became a self-fulfilling prophecy for Mindanao under Marcos’s Martial Law. We fear that the avowed intentions of an extended Martial Law—to “quell completely and prevent same from escalating to other parts of the country,” for “public safety” and to “enable government and the people of Mindanao to pursue the bigger task of rehabilitation and the promotion of a stable socio-economic growth and development”—would lead to an eventual return to the same repressive conditions, if not worse, that Mindanawons encountered under the time of Marcos. We are also disturbed by the issuance of Proclamations 360 and 374 that respectively terminated the peace negotiations between the Philippine Government and the groups represented by the National Democratic Front of the Philippines and designated the Communist Party of the Philippines-New People’s Army (CPP-NPA) as a terrorist organization. These, along with the extension of Martial Law, are ingredients for exacerbated armed conflicts in Mindanao. With the peace process abandoned and with majority of the CPP-NPA’s forces said to be in Mindanao, we can only expect more wars that tragically would also be additional reasoning for Martial Law. Mindanao and its peoples would all the more be trapped in a vicious loop of violence, stunted growth, unchecked poverty, repression, and armed resistance. Even if fraught with complications, a peace process is still the most reliable way of achieving durable peace. From the time Proclamation 216 was issued on May 23, 2017, we noted incidents that indicate worsening disregard for civil and political rights in the guise of counter-insurgency and counter-terrorism. These include the reported food blockade in indigenous communities in Surigao del Sur, the deaths of indigenous leaders in South Cotabato legitimately fighting for their ancestral domain, and arbitrary arrest and torture involving the Bangsamoro in Davao del Sur and other places. 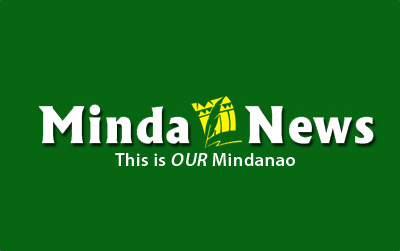 Civilian voices from Lanao del Sur pointed out that a continuing state of Martial Law is unnecessary after the “liberation” of Marawi City had been declared by no less than the President. We share their belief that Marawi will be rebuilt by the hard work of its peoples with the assistance of partners who are respectful of the choices of the Meranaws and with a view to resolving the causes of the conflict—and not by the direction of one dominant sector wielding special powers. We call on our legislators to block a second extension of Proclamation 216 in Mindanao and any moves to declare a nationwide state of Martial Law. We urge citizens to persist in standing against a return to militarism and authoritarian rule in our country.